Which actor would make a good Bond villain? As Ralph Fieness and Javier Bardem are strongly attached to the Bond Villain Role, is there any actor that come to your mind that fits this role? Anthony Hopkins - He's sinister and cunning; I thought he would be a good Blofeld or a mentor-turned-enemy for Bond. Sacha Baren Cohen - He's already crazy enough to be a mad scientist type, but he's shown he can play some serious roles too. Ken Watanabe - I don't recall having a true Asian villain in the Bond franchise. Watanabe has the potential to change that. I think Daniel Day Lewis would make a great Bond villain. He is great at portraying evil/sinister characters. David Boreanaz - okay, so he's got that too-pretty male-model look, but if you've ever seen the second season of "Buffy the Vampire Slayer" and/or the fourth season of its spin-off, "Angel", you'll know just how devastating a villain he can be. Large parts of these shows revolved around Angel's evil alter-ego Angelus, and Boreanaz was playing a completely different character. Especially in "Angel", when the writers gave him some utterly fantastic stuff to work with, and he just went to town with it. Put it this way: there was a six-episode arc in "Angel" (Awakening to Orpheus) where Angelus spent most of his time trapped in a cage so that he could not hurt anyone. Boreanaz was so good that you could be forgiving that the rest of the world was trapped in the cage and he was the only free person. To be honest I would love to see a woman in the role of the main bad guy... er, chick. Correct me if I'm wrong, but aside from Elektra, we've never had a woman as the main villain; hentch woman yes, main villain no. Only problem is I can't think of an actress who could pull the role off well... Lucy Lawless maybe??? I'm myself, consider these four great actors, first is Gary Oldman, he's quite sinister enough to play a villain roles. He's quite menacing enough when he was a villain in Air Force One (1997) opposite Harrison Ford. Second, Robert Knepper. His role in Transporter 3 (2007) and Hitman (2007) are amazing and menacing enough. He can be as villainous as much; it's a great things to be a Bond Villain. Third is Christoph Waltz. Having played in Tarrantino's Inglorious Basterds, makes me believe, he'll be a cold-blooded villain that can challenge Bond. Last is Johny Depp. Being Captain Jack Sparrow in Pirates of Carribean has trully shown that he's a good villain to challenge Bond much. I'd love to see Johnny Depp's villain. And definitely Helen Mirren. How about Peta Wilson or Jeff Bridges? I know kinda out there; but Jeff can act and likes diverse roles, and Peta has presence ... oh! And Jean Reno! I love him. Also Rutger Hauer or Stellan Skarsgard (spelling that wrong I am sure ...). Ya Jean Reno and Stellan Skarsgard are both quite menacing enough to be Bond Villain. I love Jean Reno role in The Da Vinci Code, for me he's a potential candidate to be a Bond villain. Mr Skarsgard also quite good to be a Bond villain, as long as he can keep his villainous character as he did in Angels and Demons. I do really love Ken Watanabe, too; I think I'd like to see him be a good guy though. Great actor, with gravitas. I think my strongest instincts would be Reno and Skarsgard, yeah. I think you need to go back and read my post. I said main villain, not hentch women. Although Rosa Klebb might be an exception as well. I'd call Xenia an exception too, as well as Fiona. Both were extremely dangerous and villainous women in their acts. Yes they were very villanious but I consider them more like Oddjob type of characters (main villains right hand person). I'm talking about the one who is the brains behind the evil plot... the main villain. Okay, because before you said 'behind the evil plot' I'd have said Xenia could've taken Alec. Speaks German, English, Spanish, Italian, France, Turkish. From that website: Born in Argentina, of Russian Jewish heritage, Marcelo moved with his family to Southern California at the age of seven. A devoted family man, Marcelo and his wife, writer/director/producer Lori Tubert. 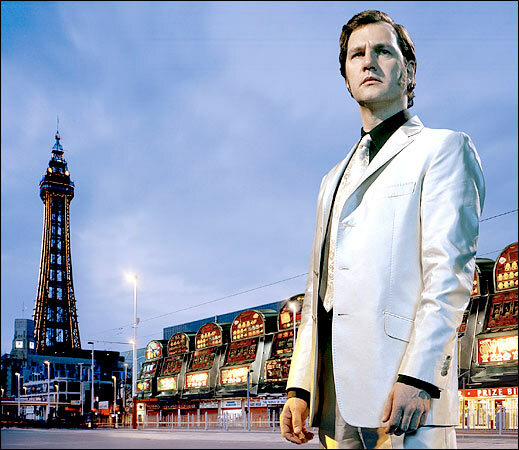 David Morrissey. For a part like TMWTGG. I sugest him also for the man with the red tatoo, again based on TMWTGG with the 3 nipel story. He also have something from Liam Neeson, i sugest him before Liam Neeson be a resing star again with Batman Begins. Antonia Campbell-Hughes. English. 29-30 years old in 2012. With the sugestion i at some idea for the chacter. Bondgirl with properties close to Wailin, Camile and Vesper wth a dark inside and not intrest in men. Alma Saraci http://www.imdb.com/name/nm2526497/ There is always the misunderstanding there can't be more then 2 woman in it, who don't have some with Bond. Albania born and moved later to the Vs. She is fluent in Albanian, French, Italian, Spanish. For her role of Susannah in "Float", she learned to speak Armenian for a few of her scenes. Spent two months in India filming "Karma". Learned to speak Lebanese Arabic for her role as Farrah Solomon in the indie film 'Benjamin'. http://image.qpicture.com/image/a/artist-alma-saraci/alma-saraci-269936.jpg A lot of people mabey already vergot there be another Bond girl in AVTAK, Alison Doody as Jenny Flex. She looks like on that girl with a bit of Eva Green. Some one Eon should keep in mind if Bond go back to Switzerland be Louise Monot Her orginal her color is black. The first picture give a idea she can look like villian like the woman from Yolt and OHMSS (Irma Bunt). Closer to Fields. But on others pictures she looks like also a bit on Elektra and Olga. I go for the first option. Bond 25 in my opnion. Also because iam afraid for comments like: Not another France girl turn bad. I whant a old looking woman as quantum leader. What not in specialy mean she can't be 39 years old. What made Catherine McCormack with 39 years old the youngest from the list.. http://www.hotflick.net/flicks/2007_The_Moon_and_the_Stars/007TMTS_Catherine_McCormack_015.jpg English. Also a good alturnatief if there whant a younger Quantum leader or other Male villian. In specialy if you whant yuse the chacter more then once. She is English. I choose Eliana Alexander because she looks older then she be (1 year younger then Daniel Craig. ), look like a bit on Ursula Andres. Mexican/American actres, besides Mexico she have lived in Bolivia and Chilli (2 other places where QOS playing. I keep in mind we go to see more of the water story. A return to Mexico.) Speaks English & Spanish. Vanessa Redgrave is the oldest, close the age of Judi Dench. Meaning as 1 movie performance in for example the Mi6 chair of M or she be kild after Bond discover her. For me, hands down, Tim Curry. A magnificent actor, I don't think there is a part he cannot play. Hugh Laurie. Ever since I became addicted to 'House', I just thought of how maniacal and menacing he could be as a Bond villain. Ken Watanabe. But I'm also thinking Tiger Tanaka. That is who I thought immediately I saw the trailer ; Helen Mirren. In Uncharted no less. I know it is not her. But she looks a lot like Dame Mirren. Yes. =D> She doesn't have to play the head of Quantum, but i'd love to see Huppert as a Bond Villain(ess). Bringing that same frostiness that she exuded in A Comedy Of Power. I doubt she'd accept the role, but if she did, Bond #23 would get my interest. How about Woody Harrelson as a villain? Maybe as some kind of "evil" Felix Leiter, a crooked CIA operative who isn't afraid to get his hands dirty. Think Gregg Beam, but with a spine. Last is Johny Depp. Being Captain Jack Sparrow in Pirates of Carribean has trully shown that he's a good villain to challenge Bond much. He tries to size the world rums supply, from his base on a ship In the Carribean, By means of an operative at disneyland. Correct. She have a bigger ego (behaviour) then Madonna. Mabey she can, but she don't whant speak English. Idris Elba as the new Mr Big in a LALD remake gets my vote more than a new Blofeld would. Thank you for your back-up support, sir. I hope we see it, though I doubt that we will, sadly. Michael Shannon and Gary Oldman would do wonders as Bond villains.